With the three brands, BMW, MINI and Rolls-Royce Motor Cars, the BMW Group has its sights set firmly on the premium sector of the international automobile market. To achieve its aims, the company knows how to deploy its strengths with an efficiency that is unmatched in the automotive industry. From research and development to sales and marketing, BMW Group is committed to the very highest in quality for all its products and services. The company's phenomenal success is proof of this strategy's correctness. With BMW, MINI and Rolls-Royce Motor Cars, the BMW Group is the world's only car maker to pursue a purely premium strategy for all market sectors covered by its brands, from exclusive smaller cars to top-of-the-range luxury limousines. Premium is the key word for BMW Group motorcycles as well. We have enjoyed great success with our strategy: to develop and build the best motorcycles, set standards with regard to technology, environmental protection and safety, and provide outstanding customer service in the pre- and after-sales phases. We see financial services as a key factor for success in today's mobile world. We have established an extensive product portfolio which supplies expert information and advice for situations and questions relating to the finance sector. We provide the following services: financing and leasing, asset management, dealer financing and company car pools. Our other business interests are insurance (Bavaria Wirtschaftsagentur GmbH), Industry-specific strategy & process consulting, solutions and IT services (Cirquent GmbH). For years BMW Group has focused its research and development activities on sustainable individual mobility. EfficientDynamics delivers less emissions and more driving pleasure at the same time. Apart from the use of highly efficient petrol and diesel engines, the EfficientDynamics measures first introduced in 2007 also comprise energy management measures, weight reduction and improved aerodynamics. Examples of energy management improvements within the vehicle are Brake Energy Regeneration, the Auto Start Stop Function and the gear shift indicator. As of August 2008 more than one million vehicles equipped with EfficientDynamics measures have been delivered to customers. Since 2008 Klaus Kompass is VP Vehicle Safety for all products of BMW Group. He is responsible for the development of active safety, passive safety, accident research as well as the safety aspects of automated driving for all vehicles of the brands BMW, Mini and Rolls-Royce. After school and his military service at the German Airforce he studied Safety Engineering at the University of Wuppertal and graduated as Dipl.-Ing. in 1985. After 18 months working in a research project with the German coal industry together with his wife he moved to Munich and started his automotive career as crash test engineer in the BMW vehicle safety department. During the next years held several functions in BMWs R&D department to become director vehicle safety advanced engineering in 1995. In 1999 he left BMW to start a new responsibility as head of engineering for Autoliv GmbH being in charge of three R&D centers in Germany and the UK. In 2003 he went back to BMW AG to manage several roles in the electric/electronic development and ultimately for ADAS advanced drivers assistance systems. In 2008 he was nominated VP vehicle safety. 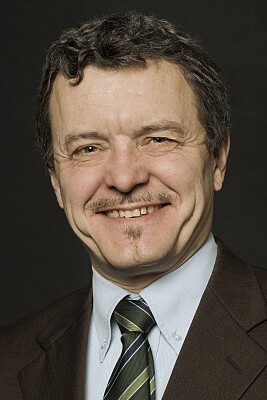 Klaus Kompass is Professor for vehicle safety and driver assistance at the Technical University of Berlin and the University of Applied Sciences Konstanz. He received several international awards like the “US Government Award for Safety Engineering Excellence” from the US DoT, the “Fraunhofer Airbag Award” from Fraunhofer ICT, the “Pathfinder Award” of the Automotive Safety Council and the “Josef-Ströbl-Preis” of the Bavarian Ministry for Internal Affairs. Together with his wife Heike he has three adult kids at the age of 19, 24 and 30. He is a passionate sportsmen, carries a black belt in Taekwondo and whenever there is time he rides motorcycle or bicycle, likes to kayak or go rock climbing with his kids.